measure to give you a better indication of size. There is also a Carrot Purse pattern available right here. insert green into any back loop of row 7 and sc into every 2nd blo. f/o leave a short tail. 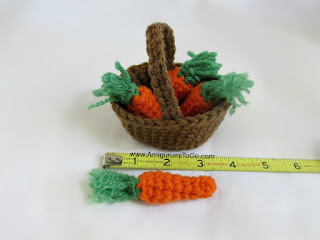 Root about 5 strands of green yarn through the carrot top. Cut to desired length. Split all the strands or leave them as they are. 1) ch30 *begin with a long yarn tail, you'll use this for sewing. f/o leaving a long yarn tail. Weave the yarn tail across the handle to the other side. Knot off. 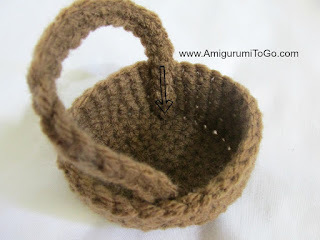 Use this yarn tail to sew the handle to the basket. The ends of the handle should be touching the bottom of the basket when you sew the in. And you're done. I hope you enjoyed this pattern. 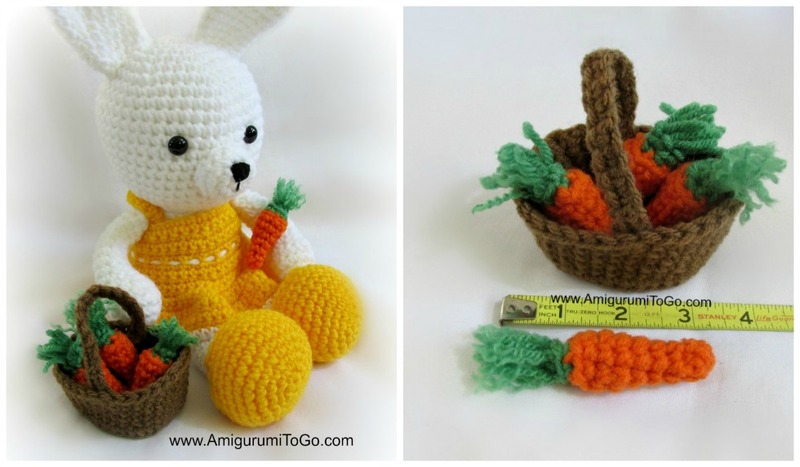 If you'd like to show off the basket of carrots you can post pictures on my facebook page, I'd love to see! Thanks for this lovely pattern. I have almost finished my bunny. 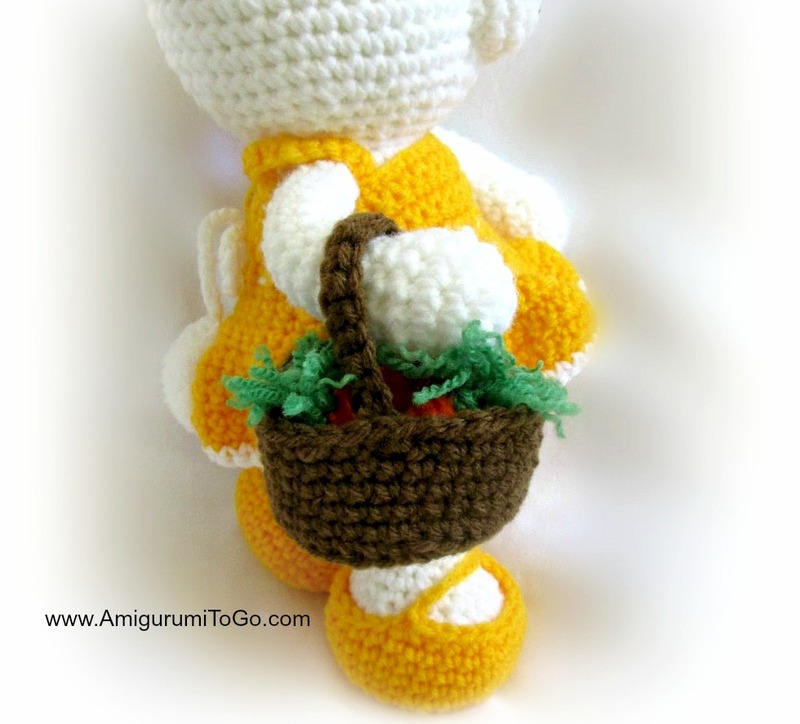 Can't wait to make the basket and carrots ;-). This is my next one I am on your Red riding hood group now.thank you once again. I translated the pattern for a friend. Would you like to have it for Ravelry? Oh yes, thank you Chantal. I received you email this morning but I haven't had a chance to respond. I'm working atm but will asap. Hallo findet man dich auch bei Facebook?